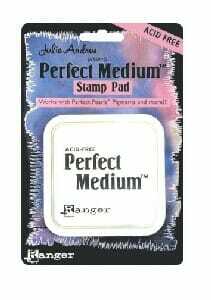 3" x 3" Clear Perfect Medium Pad works with Perfect PearlsPigments and more! Makes a remarkable resist ink, embossing ink and watermark, too! Customer evaluation for "Ranger Ink - Perfect Medium Clear Pad"